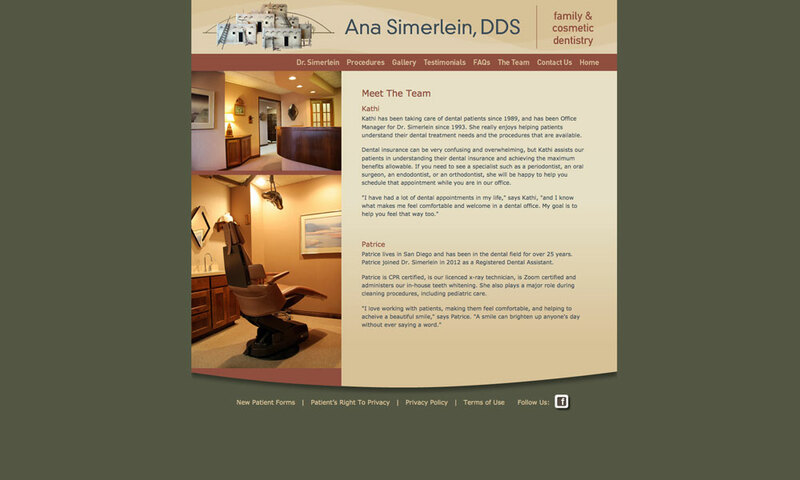 For dentist Dr. Simerlein, patient education is both a professional and personal mission. 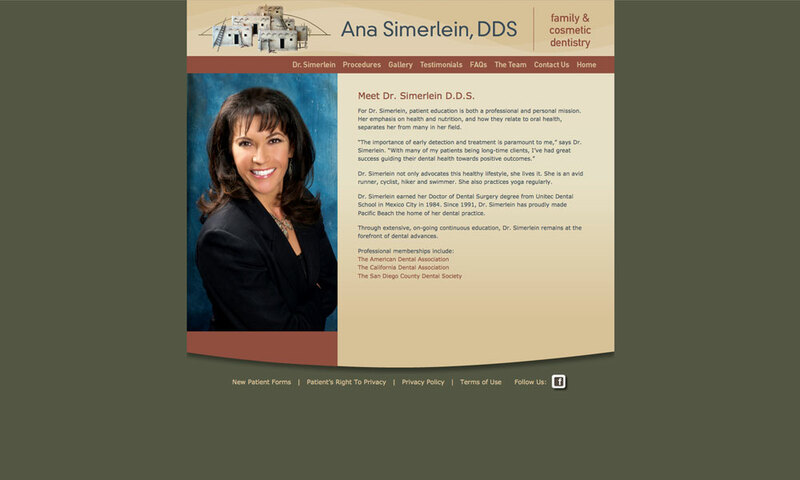 Her emphasis on health and nutrition, and how they relate to oral health, separates her from many dentists in her field. The office asked BrainShine to relate that mission through a user-friendly website. So we created a site that is friendly, engaging and informative and supplement the info here with timely posts on social media. 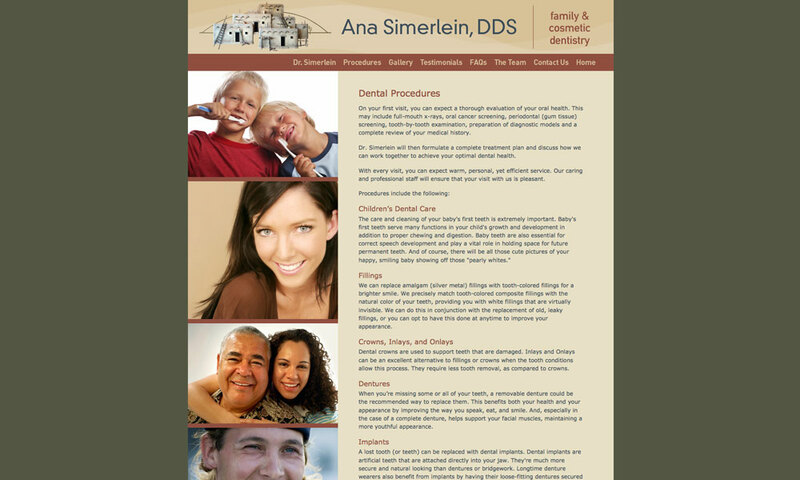 The site features a gallery of images showing dental restorative procedures and cosmetic dentistry examples, FAQs and good health information and an online appointment form. 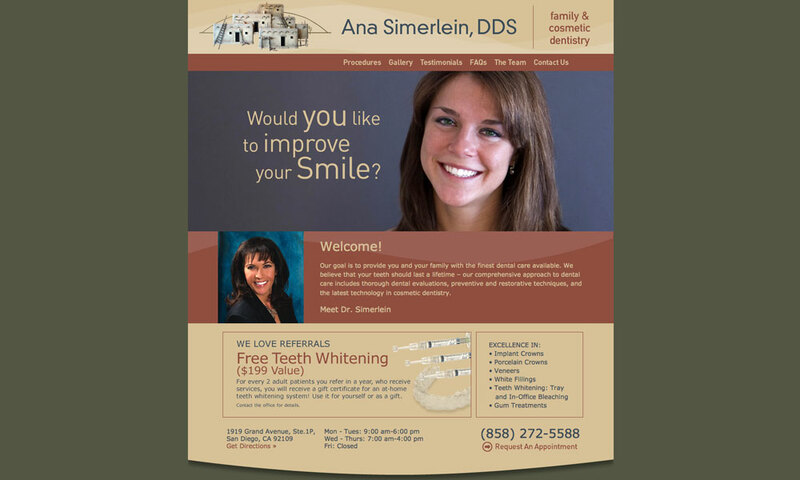 Patients love the convenience and to detail – a reflection of this outstanding practice.